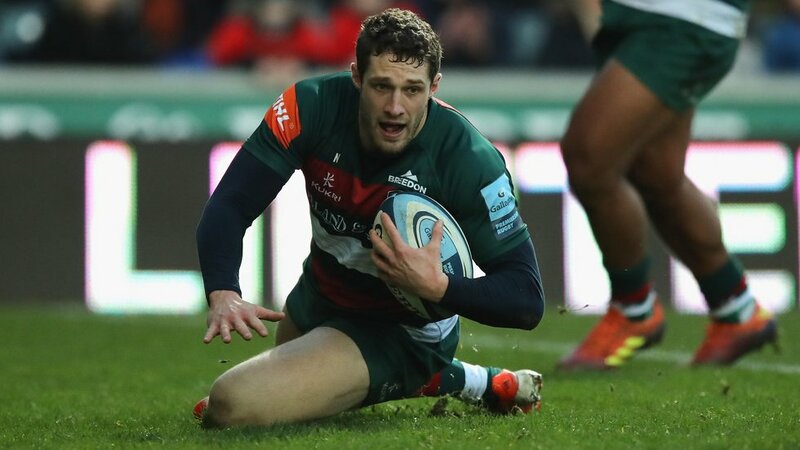 Leicester Tigers bounced back from a winless run with a 35-24 bonus-point triumph over Harlequins at Welford Road on Saturday. A pair of first-half tries from Jonah Holmes, back in the team after recovering from a head knock, laid the ground as they led 23-9 at the break. Then, after a scrappy start to the second period, Manu Tuilagi added his sixth try of the season and Jonny May dotted down for the bonus-point score as the home side started to stretch out in Gallagher Premiership Round 10 after eight successive defeats in all competitions. 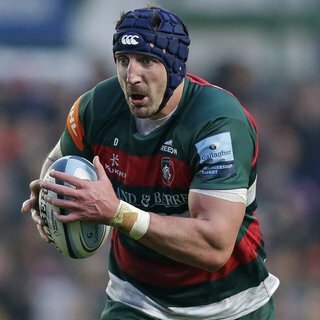 With former Tiger colleagues – and one-time housemates – Geordan Murphy and Paul Gustard in opposite camps and just six points separating eight clubs in the table going into the weekend, it was always going to be an interesting afternoon as the teams meet in the final game of the calendar year. 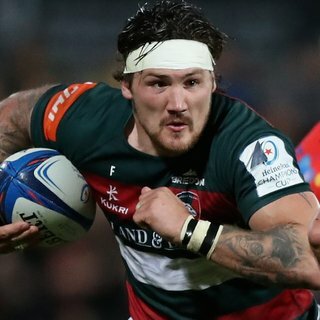 This was also Murphy’s first appearance at Welford Road since being confirmed as Tigers head coach in midweek and he made four changes to the team that started against Racing 92 last weekend with Ben Youngs and Jonah Holmes coming into the backline, and Harry Wells and Guy Thompson selected in the forward pack. George Ford got the game under way on a bright winter afternoon at Welford Road and Tigers quickly won back ball in the Quins half, wjere Ellis Genge’s break with support from Mike Fitzgerald almost brought a breakthrough after some strong carries up front. Ball was lost, though, just five metres from the Quins line and the game restarted wiotyj a defensive scrum. 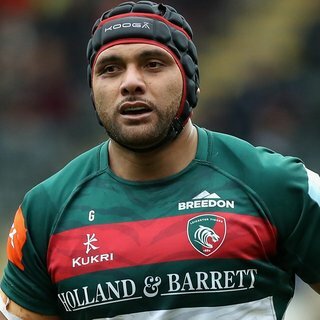 The first scrum brought a free-kick in Tigers’ favour, then a penalty, and Ford and Tuilagi went close to the whitewash before the award of another penalty. This time Ford pointed goalwards and made it 23-0 with the kick. A turnover win from Tigers looked like providing useful ball near halfway but the carrier was quickly isolated and it was Quins who had the benefit of the next whistle and they took pay into the left-hand corner with the kick. Tigers did well in defence to restrict the drive and won put-in at the scrum as they held up Quins. Dave Ward infringed on halfway as Ford used clever footwork to manufacture some space and Tigers used the penalty to create the opening try for Holmes. After Guy Thompson’s carry ,quick ball provided an opportunity on the left and Ford picked out Holmes, coming on a diagonal, to score on the left. For added the conversion for a 10-point lead on 15 minutes. Fitzgerald made an important tackle on Joe Marchant at the restart just as Quins sensed some space in the Tigers defence and when James Chislholm failed to hold on to a pass on his toes, the home crowd provided more encouragement as Tigers packed down for the scrum. But this time, referee Luke Pearce blew against the Tjgers eight and immediately signalled another penalty 35 metres out as Sione Kalamafoni failed to roll away in the breakdown. James Lang took on the kick to make it 10-3. The fly-half then had to get back into defensive position to clear his lines with a 50-metre kick back into the Tigers half, but a misjudged clearance moments later provided more set-piece ball for the home side. 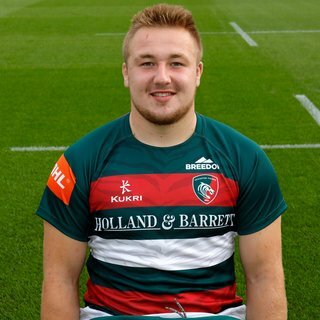 But Quins ripped ball in midfield and created their first threat as Alex Dombrandt charged into the Tigers 22. Manu Tuilagi made the tackle, but it was the visitors who were awarded the penalty and Lang cut the deficit to 10-6 with the kick as Tigers sent on Mike Williams to replace the injured Will Spencer. Thompson was denied a try moments later when George Worth flicked ball aerial ball only for Pearce to rule that the ball had gone forward as the flanker ran to the line. 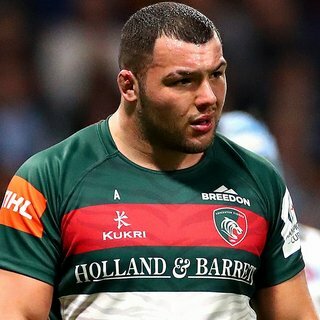 The referee took a moment to speak to England men Sinckler and Genge as Tigers were awarded another scrum penalty and Ford knocked over the kick to make it 13-6 on 28 minutes. Less than a minute later, Holmes was in for his second of the afternoon and the crowd celebrated his run to the line after Tatafu Polota-Nau Had snaffled loose ball in his own half and broken 50 metres upfield before a perfect offload to the supporting wing. Ford’s conversion – his fourth successful kick from four attempts – made it 20-6 with just under half an hour played. Lang added his third penalty soon afterwards and Tigers were then penalised at a scrum to give the visitors a chance to push play into their rivals’ territory again. A big defensive set across the field gave Quins little encouragement though until they had another penalty opportunity and Lang kicked to make it 20-9. Tigers, though, returned to the attack with as sweeping move from right to left and when they recycled again, play was brought to a halt for an offside verdict in favour of the home team. Visiting centre Paul Lasike left the field after penalty treatment following injury in a tackle on Toomua, and the half ended with Ford kicking the 35-metre penalty to stretch the lead to 23-9. Lang provided the first points after the break with a 45-metre kick but Tigers missed a chance to reply when failed to catch lineout ball after playing a penalty of their own into the right-hand corner. But Ford quickly provided another opportunity with a massive kick to the right which landed on the first bounce in the corner. This time Williams caught at the front of the lineout but was impeded by the Quins pack as he came down and referee Pearce blew again. Ford nudged to the corner once more, with the Christmas crowd in good voice but the visitors timed their defensive effort well to wrap up ball and the chance was gone. Both teams were making mistakes in the opening 10 minutes after the break, with scrappy possession and kicks for position rather than any lengthy phases of play. Tigers, though, finally put together a string of phases to create a score for Tuilagi in the right-hand corner, with Dan Cole rescuing scrappy ball in front of the posts to set u[ the chance. Referee Pearce looked long and hard at the replays before confirming the score. Ford was off-target for the first time in the game with his conversion from the right touchline but his side were 28-12 in front approaching the hour mark. Quins threatened with a lineout drive on their right and then had a penalty on the opposite side as they fought to get back into the game. After being held out for a number of phases, they eventually created numbers out wide and a superb offload in contact from Mike Brown put Nathan Earle in to score. Lang’s conversion made it 28-19 with a quarter of an hour remaining. Any skipping heartbeats in home ranks, though, were calmed moments later when a barnstorming run from Tuilagi took play up towards the tryline and then Ford and Toomua linked up to provide space for May to run int he bonus-point score. Ford added an immaculate kick to make it 35-19. Jake Kerr’s charge down the right from a lineout move got the crowd rocking again ut play was then halted for a forward pass just as the Tigers were building fresh momentum in the visiting half of the field. 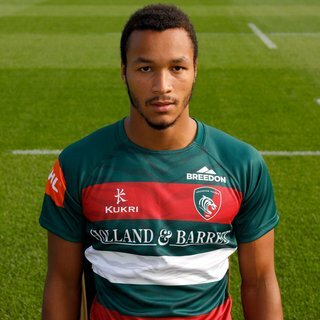 Olowofela made his return to action as a 75th minute replacement for May, but the final phases of the game were played down in Tigers territory, with Quins looking for some consolation from a series of attacking scrums before getting over the line with one second left on the clock. The score was confirmed for back-rower Dombrandt and they turned down the kick at goal in order to make one last effort from the restart but there was no further reward as Tigers ended the year on a winning note. Tigers win in their final home game of 2018! Thanks to everyone who tuned in and made the journey to Welford Road. We wish you a safe journey home and a very Merry Christmas. ITS ALL OVER! TIGERS WIN! Time is up from Fordy's kick but the play continues as Quins look to press Tigers. But the ball is worked out of play and that's that. The referee blows the full-time whistle and it's a win for Tigers. The TMO awards a late try for Quins as 'there is no reason not to award a try' and it's Alex Dombrant. Quins refuse the conversion with just one second left as they chase the bonus point. It's another Quins scrum following a reset and there's a loose ball which Tigers captain Ford picks on, He releases Jonah Holmes, but the play is pulled back for a knock on from Tigers Ben White. We're into the final five minutes here at Welford Road with a Tigers line out deep in their own half. Tigers win the ball, but it's knocked on by George Worth and there's a Quins scrum on the Tigers five metre line. Jonny May and Matt Toomua make way for Jordan Olowofela and Gareth Owen for Tigers as we head into the final five minutes. Tigers gain the momentum from the restart and Tigers replacement Jake Kerr finds some yards out wide before the ref spots a forward pass. Scum just shy of the Quins 22. George Ford kicks from out wide and Tigers extend their lead 35 - 19 on the 69th minute. Welford Road is 'rocking around the Christmas tree' at the moment. Tigers scrum-half Ben Youngs makes way for Ben White. Tigers are straight back at Quins and after a knock on from the restart. Tigers drive the scrum forward before releasing Gengey who find Jonny May in space and he's over for Tigers! Lang kicks for Quins to add the extras with over an hour played here at Welford Road. Cadan Murley goes over for Quins on the left flank after some quick hands from the breakdown. Quins finally pressure pays off in the 63rd minute. Quins come back at Tigers moving the ball across the pitch in the Tigers half. Tigers are penalised for an offside and Quins kick for a line out. The play is just in front of the Tigers five metre line as Tigers force Quins back. It's a change for Quins in the front row as Joe Marler and Kyle Sinckler make way for Lewis Boyce and Will Collier. Renaldo Bothma comes on for Jack Clifford at flanker. Manu Tuilagi's try is awarded by the TMO after some hard fought work from Tigers in the Harlequins half. George Ford misses the conversion as Tigers lead 28-12 with 56 minutes played. Some tireless work from Tigers sees the team advance up the pitch from their own half. George Ford and Ben Youngs in the thick of thee action and it's Dan Cole who takes advantage of a loose ball and barrells forward. Jake Kerr comes on for Tigers replacing Tatafu Polota-Nau in the front row. Tigers backs seeing a lot of the ball and look to play out from the back. Fordy collects a high kick and the balls collected by Genge, who finds Toomua before a quick offload to Jonah Holmes. His kick finds touch but it's out on the full so the referee pulls the play back for a scrum. It's a collapsed and Tigers can clear the ball with George Ford. Quins replacement as Ben Glynn comes on for George Merrick in the second row. The referee spots some dangerous play as Mike Fitzgerald is tackled in the air. It's a Tigers penalty on the right flank in Quins corner. Tigers line-out is lost and Quins have a chance to clear. 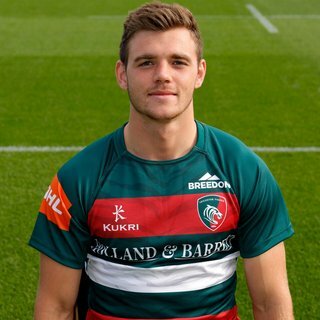 Tigers win a penalty for an offside as George Ford kicks deep into the Quins corner. The Welford Road crowd make themselves heard for the Tigers line-out. But it's overthrown and Quins can come at Tigers in their own half. Tigers halt the play 30 metres out and Quins regain possession. It's kicked long into the Tigers half and the ball is back with Tigers before the referee awards the home side a penalty for hands in at the breakdown. Fordy kicks clear. Quins James Lang kicks three more points for Harlequins as they make a strong start to the half. The penalty was for an offside on Tigers forward Mike Fitzgerald as Tigers look to come back at Quins with 45 minutes played. Tigers Guy Thompson makes way for Brendon O'Connor at No, 7. Quins Lang gets us back underway at Welford Road with Tigers leading 23 - 9 Hareqluins. George adds to Tigers tally as Tigers go into the break 23 points to Quins 9. Half-time at Welford Road. Quins make the change for the injured Lasike who is still receiving treatment on the pitch. His replacement is Alofa Alofa and the Welford Road crowd applaud the Quins centre as his is helped off the pitch. It's a strong finish by Tigers as Sione Kalamafoni breaks through the line and charges through before Tigers win at the breakdown. Youngs and Ford move the ball quickly before the play is switched to the left flank and some quick hands from Toomua release Guy Thompson before the ball is lost. Referee Pearce brings the play back for a Tigers penalty whilst the Harlequins Paul Lasike receives treatment. Tigers have a line-out 10 metres from their own try-line and the referee calls a penalty for tackling in the air which Fordy kicks just shy of the halfway line. It's been a back and forth last 10 minutes as the Welford Road crowd catches its breath. Harlequins come at Tigers following a penalty for collapsing the scrum and Quins advance into the Tigers half. Tigers defence being tested by the Quins pack and Tigers flankers Thompson and Fitzgerald hold the advance. It's three more points for James Lang at Harlequins as Tigers are penalised for slowing down the play at the ruck. He kicks from a similar position just outside the Tigers 22 and Quins come back at Tigers. 33 minutes played. Tigers captain George Ford keeps his 100% record from the boot as Tigers lead 20-6 on the half hour mark. And Jonah Holmes goes over for Tigers following a driving run from Mike Williams. Holmes runs the three-quarters of the pitch and extends Tigers lead! George Ford kicks for Tigers to add to their lead. Tigers 13-6 Quins as we near the half hour mark. Tigers make a replacement for the injured Will Spencer as Mike Williams takes his place. Lang adds to Quins tally as Tigers lead is cut to four points on the 23rd minute. Tigers 10-6 Quins. Quins pile the pressure on Tigers as Alex Dombrant bursts through the Tigers line. After awarding Tigers the penalty, the decision is reversed by the referee and James Lang will have a chance to kick his second penalty just inside the Tigers 22. And Quins fly-half James Lang kicks his first points of the game as Tigers lead 10 - 3 with just under 20 minutes played. 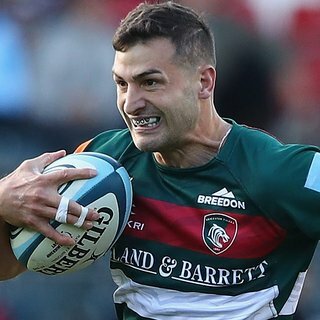 The Welford Road crowd are making themselves heard as Tigers win another penalty following a knock on from Quins Joe Marchant. It's a Tigers scrum, but it collapses and we go again just in the Tigers half. George Ford makes no mistake and Tigers into double figure with fifteen minutes gone. A great start for Tigers! Tigers clear their lines from the scrum but the ball is kicked back and George Ford collects before a quick throw-in to George Worth who then finds the Baby Rhino who drives forward. Tigers win the breakdown and Ford finds touch after a penalty call on the Quins 22. Line-out for Tigers. Quins take the lined out and lead straight into the maul but Tigers forwards hold firm and the ref spots another penalty to the delight of the Tigers crowd. There will be a Tigers scrum 10 metres from the home try line. Quins come at Tigers but the backline holds firm and Tigers clear thier lines. It only goes as far as the Quins 22 and Quins come back at Tigers before a long ball is caught by Tigers full-back George Worth. He drives forward but Tigers lose possession before regaining it again on the half way line. Luke Pearce spots a penalty for not releasing the ball and Quins have a chance to kick into the Tigers half. And Fordy does the business from the tee, Tigers into an early lead with five minutes gone. Tigers push forwards from the reset scrum and gain yards in front of the Quins post. A drive from the Tigers Fitzgerald forces an offside call from the referee and George Ford opts to kick for Tigers. Lets get ready to scrum-ble! Tigers and Quins face off in the games first scrum but the ref calls it back for a reset. Tigers are straight on the attack with Tigers forwards colliding into the Quins backline. Adam Thompstone finds a gap for Tigers on the left hand side and offloaded to Genge who finds Mike Fitzgerald but the referee spots a knock-on. Quins scrum. George Ford leads out Tigers as gets ready to kick things off at Welford Road. C'mon lads! A bustling Welford Road gets ready for kick-off with the club's Guard of Honour and Flagwavers in place to welcome out both teams. Today's officials are Luke Pearce with assistants Craig Maxwell-Keys and Rotr Maybank. There's less than 10 minutes until we're underway here at Welford Road - the ho ho home of Leicester Tigers! Tigers have won the toss and will be attacking the Robin Hood Stand as today's opposition make their way in before kick-off. Tigers have won their last four matches against Harlequins since February 2016, whilst Quins most recent win at Welford Road came in November 2013. Overall the clubs have met on 202 occasions with Tigers leading by 114 wins to 79 with nine drawn games. Welcome to the final home game of 2018 here at Welford Road in the December sunshine as Tigers take on Harlequins. With half an hour until kick-off, both teams are out on the pitch going through their final preparations for today's massive Gallagher Premiership fixture. We'll have all the minute-by-minute action here on Matchday Live. 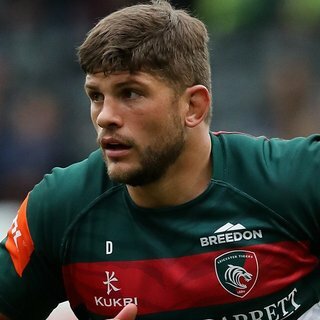 Jonah Holmes and Ben Youngs return to the Leicester Tigers backline for Saturday’s home game against Harlequins in Round 10 of the Gallagher Premiership season. Geordan Murphy names fit-again Holmes on the wing, with Youngs joining England international colleague George Ford in the half-backs. 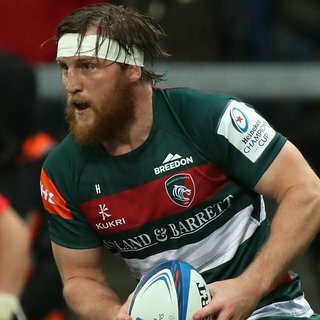 Guy Thompson and Harry Wells come into the forward pack as the other changes to the team that started against Racing 92 in Europe last weekend. There is a place among the replacements for Jordan Olowofela, while Campese Ma’afu and Joe Heyes provide front-row cover for the club’s final league game of 2018. Head coach Murphy said: “We’ve obviously been on a poor run and we’ve had to strike that balance between reviewing where we can be better and building on the positives. Tickets for Saturday are available now. Book in person, by phoning the Tigers ticket office on 0116 319 8888 or online. 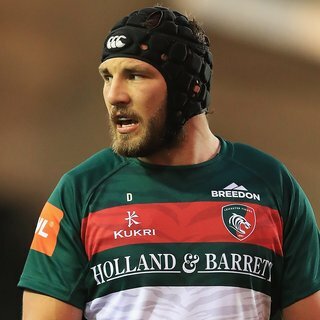 Former housemates Geordan Murphy and Paul Gustard will be in opposite camps as Leicester Tigers and Harlequins meet at Welford Road on Saturday afternoon. 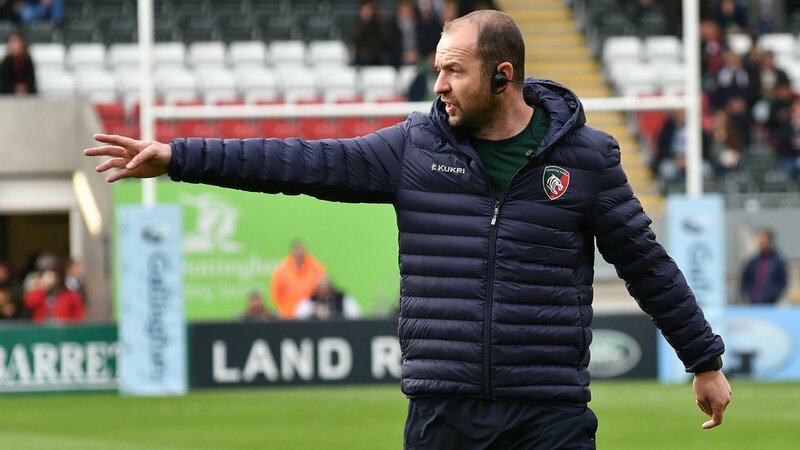 Murphy was this week announced as Tigers head coach after a spell in interim charge and his first game in the role is against former team-mate Gustard who is now head of rugby at Quins. Quins begin Round 10 weekend in fifth place in the table on 24 points, with Tigers in eighth as eight clubs are separated by just six points approaching the halfway point in the league season. The two clubs have met on 202 previous occasions, with last season’s 33-18 home victory completing a century of encounters at Welford Road where Tigers lead the win count 62-33 with five draws. In team news announced on Friday, Tigers recall Ben Youngs, Jonah Holmes, Harry Wells and Guy Thompson to the starting line-up, while Quins include former Saracens wing Nathan Earle who has five tries in nine league appearances this season. 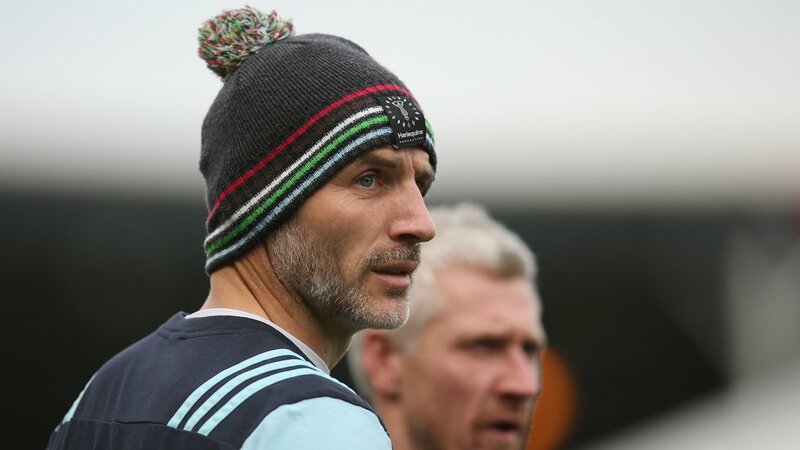 Quins boss Gustard said: “We won well last week in the Challenge Cup on a very difficult day to play rugby and we showed the resilience that has been the hallmark of our season so far. Match referee for Saturday is Luke Pearce. Click here for your matchday guide of what's in store at Welford Road - and don't forget to wear your favourite Christmas hats and jumpers! Kick-off is at 3.00pm and Saturday’s game is not scheduled for live coverage on BT Sport.